Who don’t like vada, it can be of any lentils but the oil makes us to think about eating it. Those extra calories are difficult to burn don’t you think so? Why don’t we try to change the way we cook, bake it instead of frying and you won’t believe it still taste good and that’s what we want. 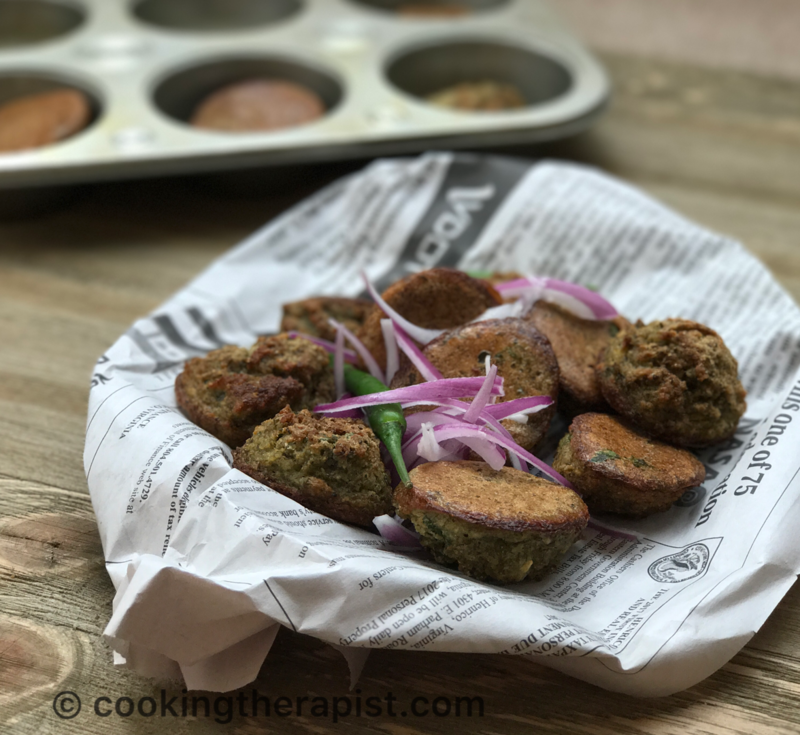 My husband loves moong dal vada(split green moong dal or skinned moong dal) so much but because of the oil we were not making it frequently rather I was making chillas(lentil dosa) of that batter. But one day I tried baked urad dal vada (black gram lentil) for making dahi bhalla and it came out perfect that we can’t even tell that it is not the fried one. 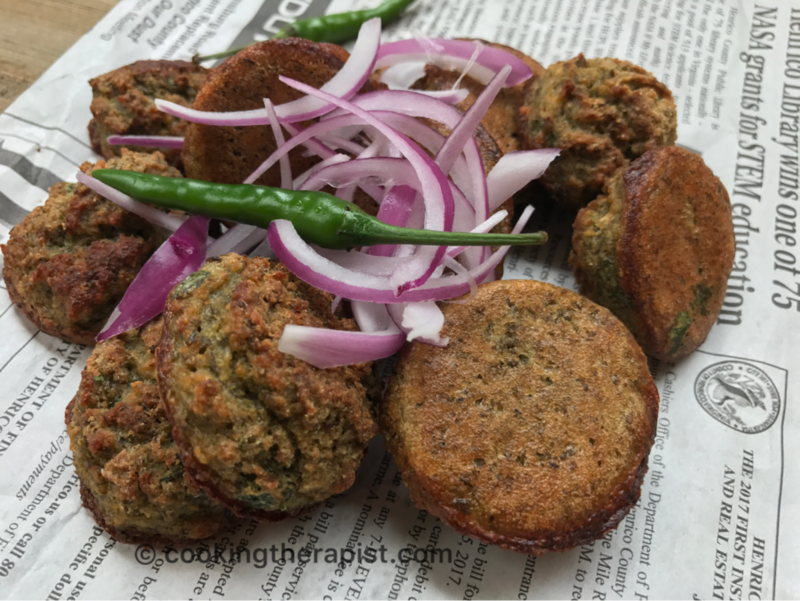 After that I tried making moong dal vada like the way I have made urad dal vada. So that we can still enjoy eating vada without being fried. 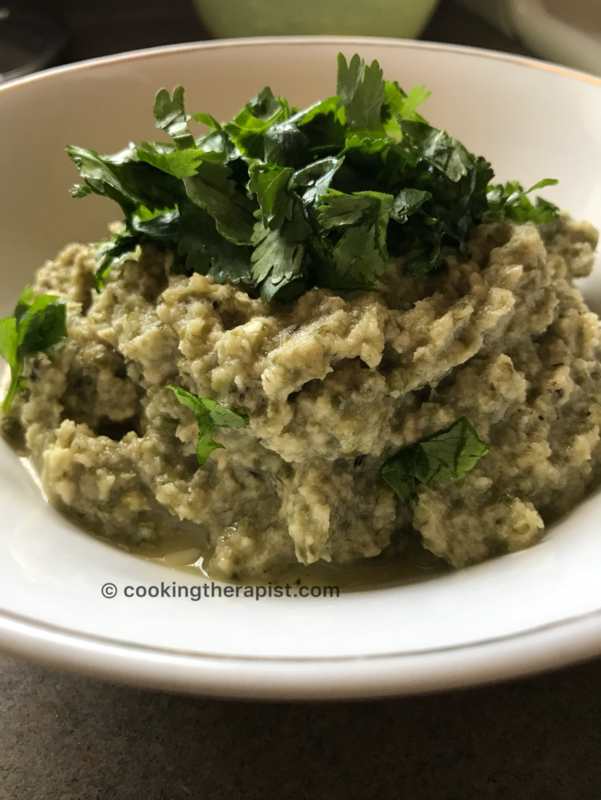 Lentils are high in protein specially moong and moong dal is having tons of health benefits, so it’s very healthy and low carbs recipe. Win win, healthy and still tasty; what else we want. Moong Dal vada is a popular snack of Gujrat, India. 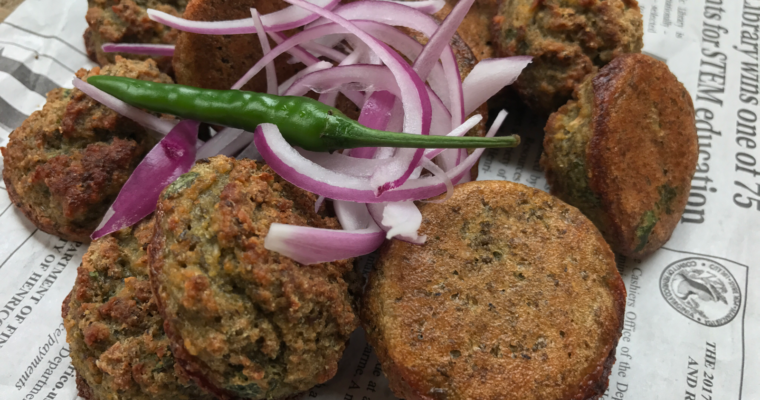 These crispy vadas are made up with spiced green mung dal batter and baked dumplings. Soak the moong dal in water for 6-8 hours. Drain all the water from moong dal and grind moong dal, ginger garlic, green chilies to form a corse paste. Add salt and finely chopped coriander(cilantro). 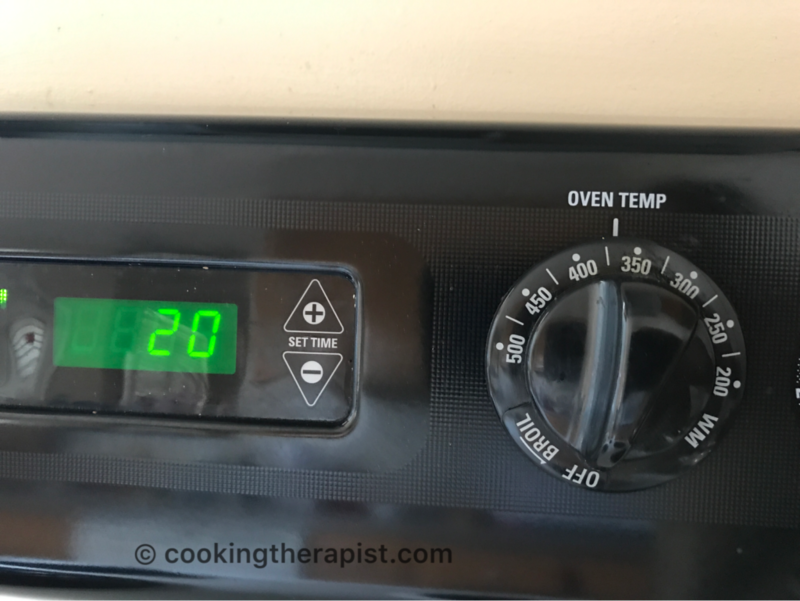 Preheat oven 375 *F (~180 degree Celsius) . Check all the seasoning here. Bake it ~22 mins at 375*F and then few minutes on broiler ~3 minutes or till the light brown color. Insert toothpick and check it's done or not. Serve with julienne onion, green chili, green chutney or tamarind chutney( Imli ki chutney). Whatever you have on hand or you can have it with a cup of tea. You can add it in pita pockets and make your pita pocket sandwich or wrap or have it just like that it will taste good too. then 3-4 minutes on broiler(till they are light brown). 4. You can get ready chutneys (condiments) like cilantro chutney and tamarind chutney in Indian grocery store. You will also like my other popular baked vada and chaats like Cheerios Bhel and dahi vada. Here are some pictures so that it’s easy for you to understand. Serve with julienne onion, green chili, Mint and cilantro chutney or tamarind chutney (Imli ki chutney). 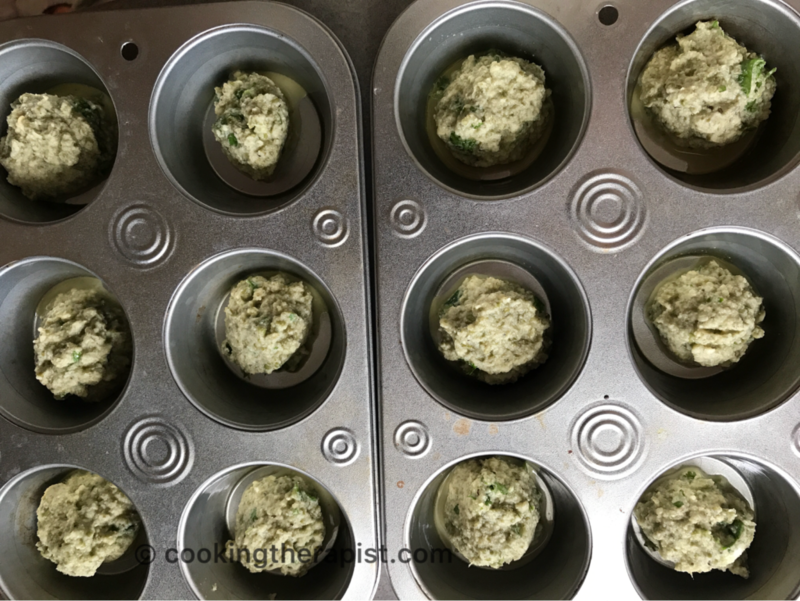 You can add it in pita pockets and make your pita pocket sandwich with added chutneys or wrap it into lettuce for low carb version with chutneys or have it just like that it will taste good too. You can find ready chutneys (condiments) like cilantro chutney and tamarind chutney in Indian grocery store. You can also try baked medu vada or baked dahi bhalla. Thanks for being here and I am waiting for your feedback.